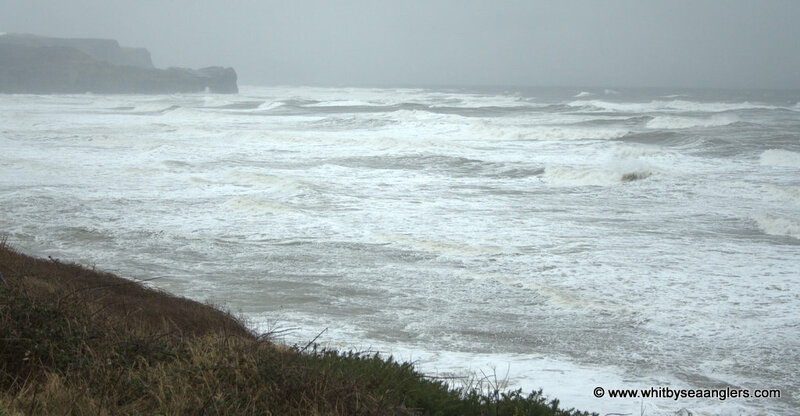 White water as waves break on north batts. 20th Jan 2013. Photograph by Peter Horbury. Sisters and south batts. 20th Jan 2013. Photograph by Peter Horbury. 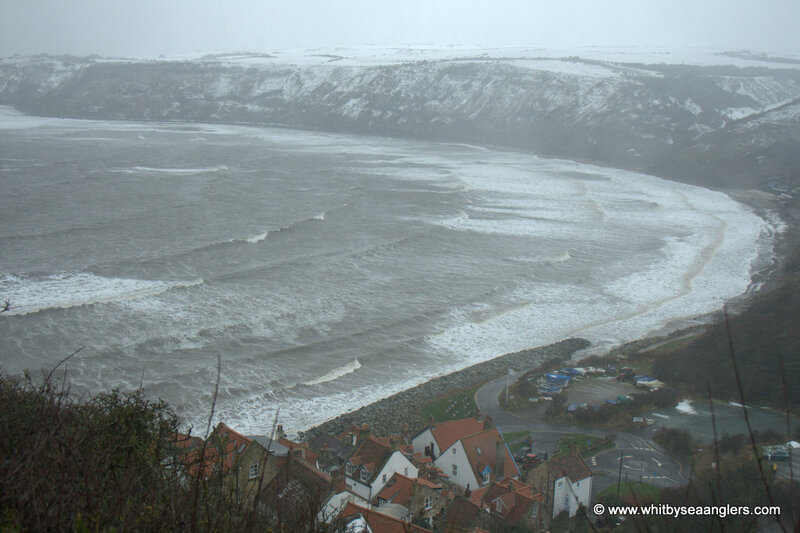 Runswick Bay, 20th Jan 2013, taken from Cliffmount Hotel car park. Photograph by Peter Horbury. 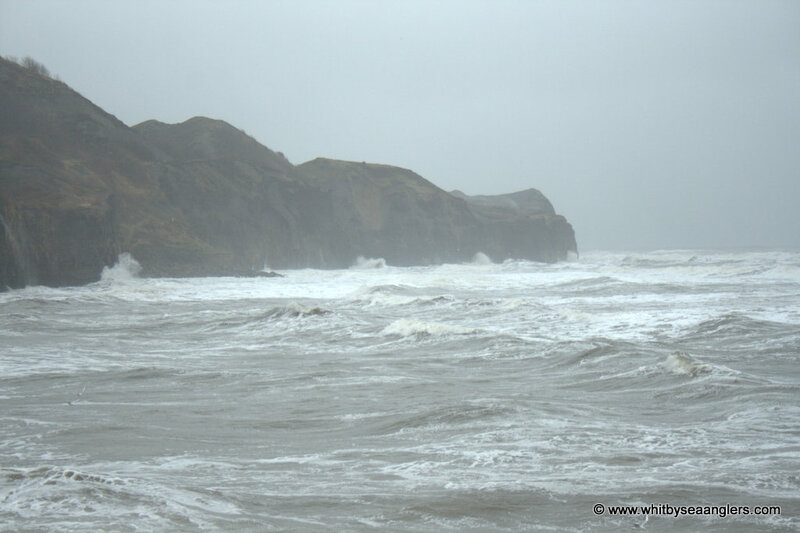 Sandsend cliff, 20th Jan 2013, taken from Sandsend car park. Photograph by Peter Horbury. Sandsend beach taken from road side parking. 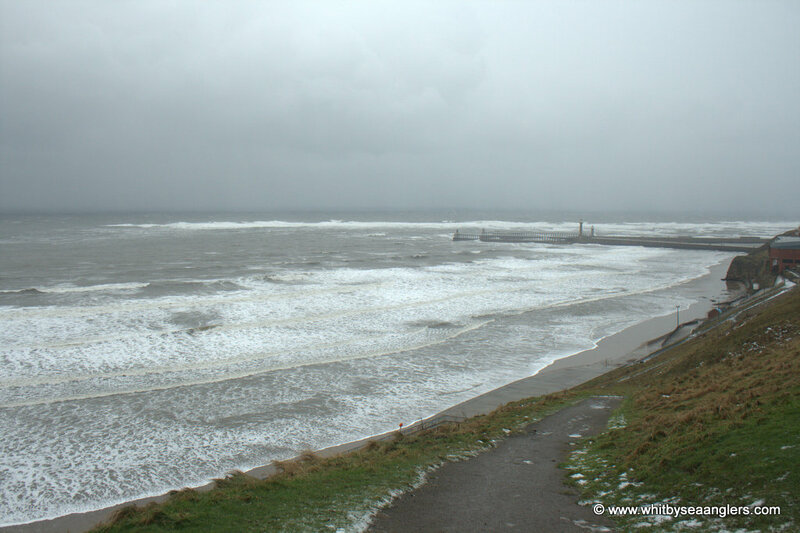 5 metre swells run into Sandsend. 20th Jan 2013. Photograph by Peter Horbury. 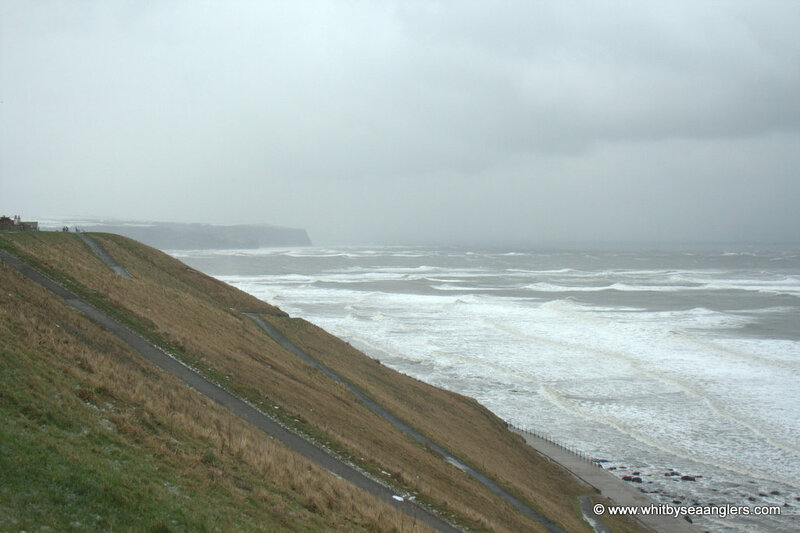 Spectacular views from the end of Whitby Golf Club. 20th Jan 2013. Photograph by Peter Horbury. 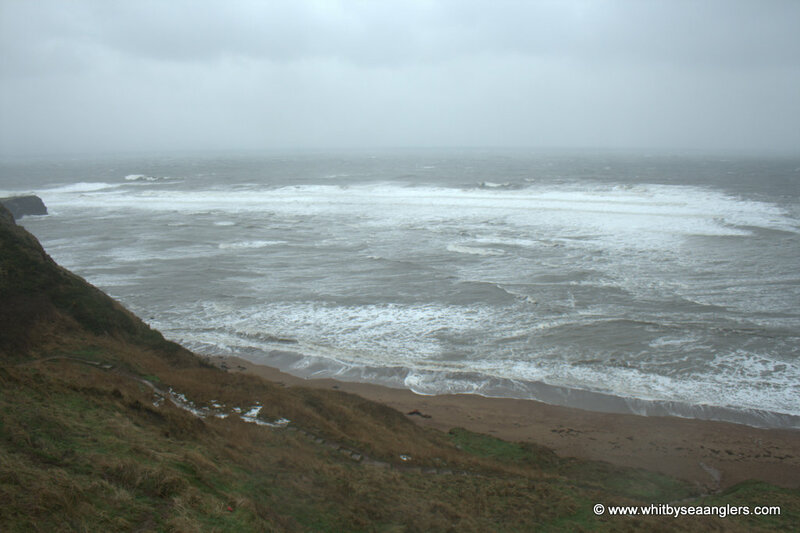 Sandsend is just around the headland as the swells sweep in, Sandsend cliff in the distance. 20th Jan 2013. Photograph by Peter Horbury. 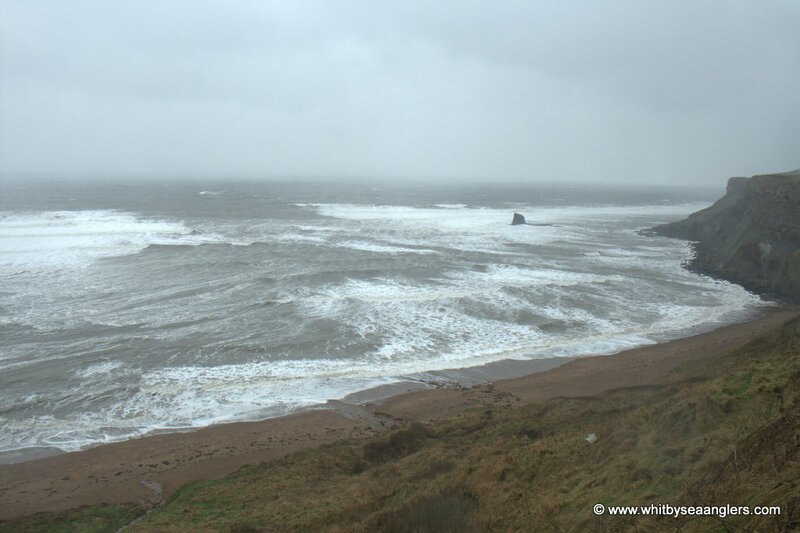 The bell buoy is just on the left hand side of the tip of white water on the horizon, because of this the sea is relatively calm behind the pier. 20th Jan 2013. Photograph by Peter Horbury.